U.S. Thread Major Diameter 0.462 in. Packaging Dimensions 1.5 in. x 1.3 in. x 0.5 in. These switches work great, and have the same look and feel as the original ones used in the Fender Blackface and Silverface amps. A very good "plug and play" substitute for the original part. Looks the same, fits perfectly, works perfectly. High quality, looks great. Super fast shipping. Great customer support. This switch was a power switch replacement in 1978 135 watt Twin Reverb. Almost the same geometry as the original, but just slightly different. Not a totally "parallel feel" like the original. Totally satisfied. Just the facts for the major type A personalities. Great parts, service and price!! I used this as a period-correct replacement for a Fender tweed Pro (5D5; 1954), as the last person to fix it used a big, gaudy paddle switch. Aside from its fresh chrome, it looks a perfect match. This switch has the short bat (~1/2"), not the longer modern standard (more like 3/4"). Asked by Anonymous on September 11th, 2017. We do not have a hex nut that fits this switch. SKU: W-SC-W09 will work as the knurled nut but will have a slightly larger exterior diameter. Asked by Anonymous on December 8th, 2017. The diameter of the threaded portion is 0.462 in. Asked by Anonymous on January 15th, 2018. 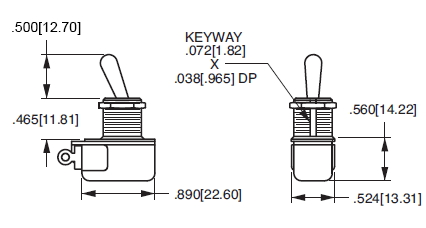 Unfortunately we do not have the reference materials to confirm that this is the correct switch. The best thing to do is remove the old switch and do a visual comparison. Asked by Anonymous on March 21st, 2018. 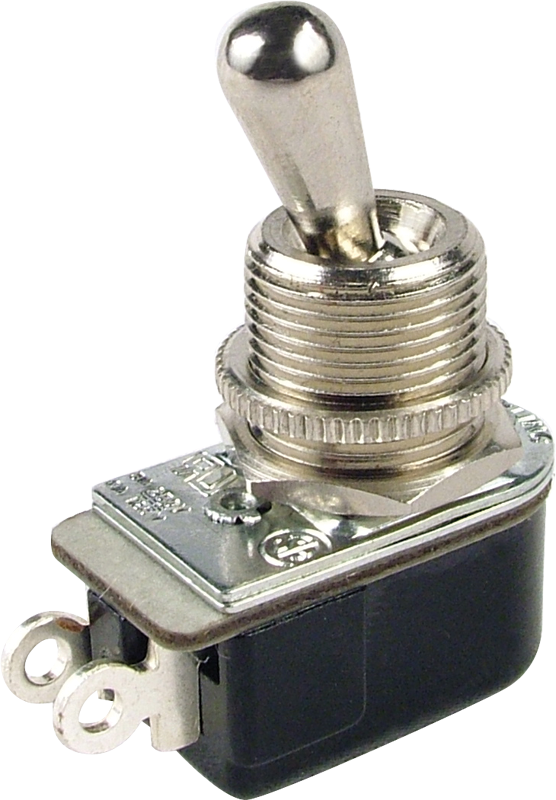 We wouldn't have the reference materials to determine whether this is the proper replacement switch for your amp. We would suggest a visual comparison to the existing one in your unit.